Middle Schoolers! Have you always dreamed of writing a novel? National Novel Writing Month (NaNoWriMo) is a fun, seat-of-your-pants approach to creative writing. Valuing enthusiasm, determination, and a deadline, NaNoWriMo is for anyone who has ever thought fleetingly about writing a novel (including you!) 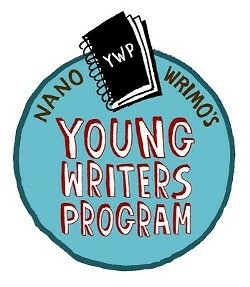 To learn more about NaNoWriMo and the Young Writers Program, visit http://ywp.nanowrimo.org. This program is for teens in 6th-8th grade. Bring your own laptop, notebook, typewriter, or tablet.